Robert Parry-Cruwys is the guy who gives out the CEUs. He's not the smartest of the group, but he did figure out how to post a podcast first. Diana Parry-Cruwys is the brains of the operation. She made the logo and came up with our name. Jackie MacDonald loves behavior analysis and dogs; co-brain of the show. She is always in a good mood. Peter Gerhardt, Ed.D., The Executive Director of the EPIC School in Paramus, NJ. Dr. Gerhardt has more than 35-years of experience utilizing the principles of Applied Behavior Analysis in support of adolescents and adults with autism spectrum disorders in educational, employment, residential and community-based settings. He has authored and co-authored numerous articles and book chapters on the needs of adolescents and adults with ASD. He has presented nationally and internationally on this topic. Dr. Gerhardt is the Founding Chairman of the Scientific Council for the Organization for Autism Research and currently Co-Chairs the Council with Dr. Joanne Gerenser. He is on several professional advisory boards including the Cambridge Center for Behavioral Studies. Dr. Gerhardt received his doctorate from Rutgers, The State University of New Jersey’s Graduate School of Education. Dr. Amanda N. Kelly received her PhD in Behavior Analysis from Simmons College in Massachusetts and is the owner and Executive Director for Keiki Educational Consultants, Inc., a private consulting company based on Oahu. Dr. Kelly has been licensed as an elementary education teacher for the past 15 years and certified as a Behavior Analyst for the last 10. In 2012, Dr. Kelly became the first recipient of the “Jerry Shook Practitioner of the Year Award”, awarded by the Berkshire Association for Behavior Analysis and Therapy (BABAT). In 2014, Dr. Kelly was recognized for her advocacy efforts and was awarded a scholarship from Autism Speaks, which allowed her to attend the Autism Law Summit in Nashville. Dr. Kelly published two articles in 2015: Effects of Presession Pairing for Children with Autism (Behavioral Interventions) and Blurred Lines: Ethical Implications of Social Media (Behavior Analysis in Practice). Dr. Kelly is also a proud co-author of the 2015 Hawaii licensure for behavior analysts state law. Dr. Kelly teaches for the University of West Florida and George Mason University, offers BCBA Exam Prep courses through the Global Autism Project, serves as ABA Marketing Liaison for Relias Learning, and works part-time as a K8 Counselor at Assets Elementary in Honolulu. From his Western New England faculty page: I am a Board Certified Behavior Analyst who has worked with children and adolescents for over two decades, and for much of that time I have also had the good fortune to be able to teach behavior analysis and research methods courses to graduate students. As Director of Professional Development at NECC, I have a strong interest in research in staff training techniques, but I also have interest in learning more about reinforcement, skill acquisition, and choice. Amanda Karsten is an Associate Professor of Psychology at Western New England University. Dr. Karsten serves on the editorial boards for Journal of Applied Behavior Analysis and The Analysis of Verbal Behavior. Dr. Karsten’s clinical and scholarly interests include early intensive behavioral intervention, professional decision making, and teaching complex social skills. In addition to advising students in the Master’s and Doctoral programs in Behavior Analysis at WNEU, Dr. Karsten collaborates with Dr. Bonni Alpert, Dean of Student Disability Services, to deliver a peer-mediated social and academic support program for college students diagnosed with ADHD or Autism Spectrum Disorder. From Dr. Vanselow's bio: "I am very interested in the combination of behavior analytic and computer technology for improving socially meaningful behavior. My interests are mostly in the realm of health, wellness, and safety; however, discovering any way to use technology to make people more effective is an exciting prospect. Recently, I created a mobile (Android and iOS) and web application (PHP, HTML, etc.) for tracking Continuing Education Units (CEUs) at conferences called CEUHelper. However, I have been applying technology to aid behavior analysts since my first programming attempt that aimed to make data collection more efficient by creating an app for some of the earliest mobile devices (before smart phones and iPads) using VB .NET. I hope to continue to find ways to combine my interests in behavior analysis and computer programming to improve the lives of others." Nick Green, is a board certified behavior analyst (BCBA) and the CEO of BehaviorFit. Nick focuses on improving the health of others through practice and research. Nick received a degree in psychology from Purdue University, a masters in organizational behavior management from Florida Institute of Technology, and is currently enrolled in the doctoral program at the University of Florida. Nick’s previous experiences include five years of clinical work with individuals diagnosed with developmental disabilities, working within organizations to evaluate and improve processes, managing and overseeing the training of small teams. His experience and education bring a unique perspective when designing pro-health solutions. Nick’s main focus and research interest in reducing sedentary behavior (too much sitting) in the workplace. His passion is: “Improving human performance and health with behavior analysis.” When Nick is not in a book or writing, he enjoys training his dog Pete, improving productivity, photography, Olympic weightlifting, and CrossFit. Judah B. Axe, Ph.D., BCBA-D, is an Associate Professor of Education and Behavior Analysis at Simmons College and the Director of the Special Education Program at Simmons. Dr. Axe received his M.A. and Ph.D. in Special Education and Applied Behavior Analysis from The Ohio State University. He conducts research with children with autism and related disabilities in the areas of verbal, social, and challenging behavior. Three current research topics are the effects of problem solving on recalling past events, antecedent and consequent variables influencing social commenting (i.e., tacting), and the effects of presession pairing on compliance and problem behavior. Dr. Axe's research has been recognized by the California Association for Behavior Analysis and the Berkshire Association for Behavior Analysis and Therapy (BABAT). He serves on the editorial boards of the The Analysis of Verbal Behavior, Behavior Analysis and Practice, and the International Journal of Behavior Analysis and Autism Spectrum Disorders. Dr. Axe serves as the Chair of the Verbal Behavior Special Interest Group of the Association for Behavior Analysis International (ABAI), the Co-Coordinator of the Verbal Behavior Area for the ABAI Conference, the Chair of the Student Relations Committee of BABAT, and a Trustee and the Continuing Education Coordinator of the Cambridge Center for Behavioral Studies. Sandy Jin, Ph.D. BCBA-D, currently teaches at the California State University, Northridge. She received her doctoral degree in Behavior Analysis from Western New England University, under the mentorship of Dr. Gregory Hanley, and has been applying the principles of learning to improve the lives of individuals for over ten years. Prior to her current post, she served as an Assistant Professor of Psychology at Eastern Connecticut State University and co-directed the children’s sleep program at Western New England University. She received her B.S. and M.S. training in psychology with an emphasis in behavior analysis from the University of California, San Diego, and the California State University, Los Angeles, where she worked with Dr. Edmund Fantino and Dr. Hank Schlinger. She has published in areas such as the assessment and treatment of sleep problems in young children and function-based interventions for severe problem behavior associated with autism. Dr. Jin’s scholarly and clinical interests include sleep problems, behavioral medicine, behavioral pediatrics, child development, early life skills, sustainable behavior, and function-based interventions. Bill Ahearn joined The New England Center for Children® in August 1996, and currently serves as the Director of Research. He is also a Clinical Assistant Professor in Northeastern University’s graduate program in Applied Behavior Analysis and Adjunct Faculty in Western New England University’s doctoral program. Bill was named the 2009 American PsychologicalAssociation – Division 25 awardee for Enduring Contributions to Applied Behavioral Research. Bill is the ACE® coordinator for providing BCBA continuing education at NECC® and for the Berkshire Association for Behavior Analysis and Therapy. 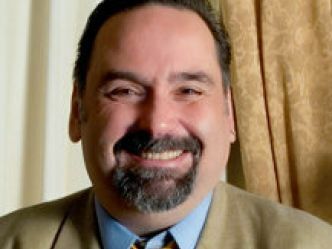 He also serves on the Autism Advisory Committees for the Association of Professional Behavior Analysts and the Cambridge Center for Behavioral Studies. Bill’s research interests include social skills in children with autism, verbal behavior, assessment and treatment of stereotypy, severe problem behavior, and pediatric feeding difficulties. He is also interested in resistance to change, behavioral economics, and conditioned reinforcement. His work has been published in the Journal of Applied Behavior Analysis, Journal of the Experimental Analysis of Behavior, Behavioral Interventions, Behavior Modification, The Lancet, Journal of Autism and Developmental Disorders and has written book chapters on teaching children with autism and pediatric feeding problems in children with autism. Bill is currently on the Editorial Boards for the Journal of Applied Behavior Analysis, The Analysis of Verbal Behavior, and Behavioral Interventions and has served as a guest reviewer for several other journals. He has also been Principal Investigator on a NIH-funded grant with Dr. William Dube, is co-Principal Investigator with Dr. Becky MacDonald on a grant funded by the Organization for Autism Research, and is a past-President of the Berkshire Association for Behavior Analysis and Therapy. Mallory is a Board Certified Behavior Analysis and holds her Ph.D., as the first graduate of the University of South Florida’s Applied Behavior Analysis Doctoral program. She has her masters in ABA from USF under the advisement of Raymond Miltenberger. Her clinical work in behavior analysis has included parent training for children in foster care, staff training, work with children and adults with autism and other developmental disabilities, and teaching multiple undergraduate courses in behavior analysis at the University of South Florida, as well as developing online course material for courses in USF’s online Applied Behavior Analysis masters program. Her clinical interests include teaching, disseminating ABA, and staff training. During her time in the masters and doctoral program, she conducted research in applying behavior analysis principles to sports training, to enhance the quality of dance training of competitive dancers, and decrease the use of training methods, which focus on the use of aversive contingencies and/or punishment. She wrote a manual titled the POINTE System (POsitive INTerventions to Enhance the performance of dancers), with co-authors Kwang-Sun Blair, PhD, BCBA-D and Raymond Miltenberger, PhD, BCBA-D, so that these procedures can be disseminated to dance instructors in a user-friendly format. She tested the efficacy and feasibility of this manual in a three part study for her dissertation. She currently has three published studies on using ABA to enhance dance performance for competitive dancers in the Journal of Applied Behavior Analysis, Journal of Behavior Analysis in Practice, and Behavioral Interventions, and has also supervised multiple studies in this area as well as in the area of teaching dance to individuals with physical and intellectual disabilities. Additionally, Mallory continues to be an avid musical theater performer in productions across Tampa, Florida, and surrounding areas. She works as a musical theater and dance instructor at two local dance studios and also as a Pure Barre fitness instructor. Periodically she choreographs local musical productions as well. She is also the owner and creator of Applied Behavior Analysis Sports Innovations (ABASI) LLC (abasportsinnovations.com). You can contact her at malloryquinn@abasportsinnovations.com. 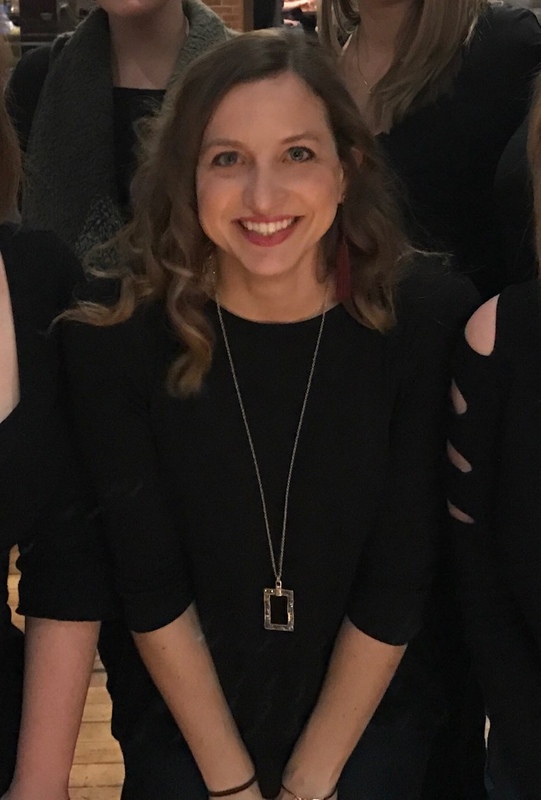 Mallory’s passion is to disseminate ABA to less known areas and individuals outside of scientists in our field, and to continue to fuse our science with athletic coaching and lesser known areas of application such as performing arts, to create more positive and effective training procedures for all involved. Devon Sundberg received her bachelors in psychology from Indiana University Bloomington, IN, and her masters in applied behavior analysis (ABA) from St. Cloud State University, Minnesota. Devon is a Board Certified Behavior Analyst (BCBA). She has been practicing ABA as a behavior technician, parent trainer and clinical director for over 10 years. Devon and her husband, Dr. Carl Sundberg, BCBA-D, opened the Behavior Analysis Center for Autism (BACA) in 2009 and serve 120 clients in four different locations through a variety of programs. Devon and Carl are proud of their most important responsibility, their three daughters. Cormac MacManus is a board certified behavior analyst (BCBA) and an ACE Training and Implementation Specialist at the New England Center for Children (NECC). Cormac works with school districts and special education centers around the north east to support the implementation of a web-based curriculum and assessment platform to teach students with developmental disabilities. Cormac received a bachelor’s degree in psychology and masters degree in applied behavior analysis from Ulster University in Ireland, and is currently enrolled in the doctoral program in behavior analysis at Western New England University. Cormac’s previous experiences include eight years of clinical work with individuals diagnosed with developmental disabilities at NECC, working across multiple areas and settings within the organization including day, home-based, intensive treatment, and residential programs. Cormac has worked with clients ranging from 4-22 years, moderate to severe needs, in the capacity of a direct care staff and supervisor of a team of 30 staff members. Cormac’s main focus and research interests include response persistence, assessment and treatment of challenging behavior, play, and verbal behavior. Cormac teaches verbal behavior and concepts and principles of behavior analysis as an adjunct professor at University of Massachusetts Boston. Cormac enjoys reading crime and graphic novels, listening to podcasts, and teaching his toddler and wife 80s and 90s pop culture in his spare time. Katherine McLaughlin, M.Ed. is an expert on sexuality and developmental disabilities, has taught sexuality education to people with developmental disabilities as well as trained them to be peer sexuality educators themselves. She has trained nationally at conferences and workshops, has developed and led parent workshops on Talking to Your Kids with Disabilities about Sexuality, and has trained staff on how to address sexuality with people with disabilities. Katherine has co-authored two curricula for Planned Parenthood of Northern New England: Sexuality Education for Adults with Developmental Disabilities and Sexual Violence in Teenage Lives. Katherine worked as a sexuality educator and trainer for Planned Parenthood of Northern New England for over 20 years. She now leads workshops as a private consultant and also teaches Human Sexuality at Keene State College in NH. 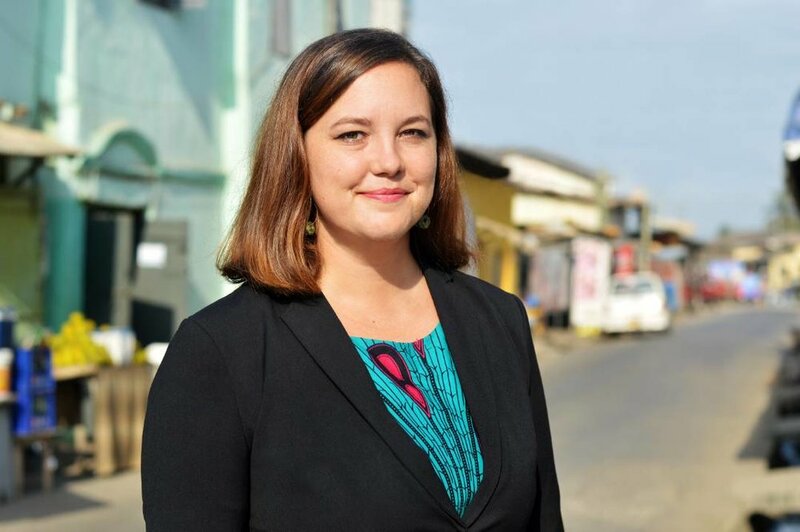 Whitney Hammel is the Executive Director and Co-founder of Autism Compassion Africa located in Cape Coast, Ghana. She has over 9 years of experience directly working in the field of autism, mostly with the New England Center for Children, along with many years of education. Whitney holds a BS in Early Childhood Development and Special Education from the University of Idaho, a MSEd in Severe Special Needs Education from Simmons College, and completed two additional years from University of West Florida to become a Board Certified Behavior Analyst specializing in the field of Applied Behavior Analysis service delivery. Her work experience ranges from ages 20 months to 21 years; working in a residential facility, home/community settings with families, consulting in general education classrooms for inclusion, implementing social skills groups, supervising future BCBAs, and working in ABA centers across 4 countries (United States of America, United Arab Emirates, India and Ghana). Whitney's passion has led her to Ghana where she intends to stay to make a lasting impact across West Africa championing human rights advocacy, quality special education services and disseminating the science of ABA. Dr. James L. Soldner is an Assistant Professor and core faculty in the Rehabilitation Counseling graduate program within the School for Global Inclusion and Social Development (SGISD). He conducts scholarly research, teaches graduate coursework, and is involved in various service activities within SGISD. Dr. Soldner has published scholarly research on a range of topics generally related to rehabilitation and behavior analysis. He has facilitated 80+ presentations at academic conferences and training seminars at the local, state, national, and international levels. His current research and teaching interests include the applications of behavior analysis to rehabilitation, evidence-based practice in rehabilitation, contemporary issues in rehabilitation administration and leadership, brain injury rehabilitation, and the scholarship of teaching and learning. Before joining SGISD, Soldner held faculty appointments at Utah State University and Assumption College. He has an extensive clinical background providing services to individuals with disabilities in a wide variety of rehabilitation and educational settings. Dr. Soldner is a certified rehabilitation counselor, doctoral-level board certified behavior analyst, and licensed applied behavior analyst in Massachusetts. Mary-Kate Carey, PhD, BCBA, LBA is the Clinical Director of the ABA Outpatient Clinic at Glenwood, Inc in Birmingham, AL. Clinically, her interests include providing early-intensive-behavioral intervention to young children with autism, supporting families as they begin ABA therapy, and training new staff to implement behavior analytic techniques. Her research interests have included identifying efficient data collection strategies and investigating the various stimulus functions of tokens. Personally, Mary-Kate enjoys being a Mom to her two-year old little girl, watching Netflix documentaries with her husband, and prepping for the 2018 College Football season. Dr. Hughes-Lika has been providing evidence-based services for children with autism and related disorders for over 22 years. She is a Board Certified Behavior Analyst-Doctoral (BCBA-D) and a Licensed Behavior Analyst (LBA) in the state of Nevada. She is also an Early Start Denver Model (ESDM) Certified Therapist. She obtained a Bachelor of Arts degree in both Psychology and Sociology from Saint Ambrose University, and a Master of Arts degree in Applied Behavior Analysis from The Ohio State University, studying under Professors Cooper, Heron, and Heward. In 2015, she earned her PhD in Intellectual and Developmental Disabilities from the University of Kent, in the UK. Her dissertation focused on the development of a 12-week parent-mediated naturalistic developmental behavioral intervention (NDBI) for toddlers with ASD. Dr. Hughes-Lika is passionate about the dissemination of behavior analysis. In 2015, she was the recipient of the Society for the Advancement of Behavior Analysis (SABA) International Development Grant for her research and efforts to promote behavior analysis in Albania. Additionally, she conducts university lectures on behavior analysis and provides a competency-based supervision model for individuals interested in pursuing BACB certification. Her research interests include the development of systematic supervision programs, the use of technology in competency-based supervision, parent-coaching interventions, and the dissemination of behavior analysis in Southeastern Europe. She presents at national and international conferences and her research studies are currently under review for publication in peer-reviewed journals. Sarah Lechago is an Associate Professor int he Behavior Analysis master’s program at the University of Houston-Clear Lake (UHCL). Dr. Lechago is the founder and director of the UHCL Center for Autism and Developmental Disabilities (CADD) Verbal Behavior Clinic (VBC) and Verbal Behavior Clinic-Telehealth (VBC-T). She is also the co-founder and co-director of the UHCL Connecting the Dots (CTD) program. She has published in numerous journals including The Analysis of Verbal Behavior and the Journal of Applied Behavior Analysis. She has served or currently serves on the editorial boards for The Analysis of Verbal Behavior, Behavior Analysis: Research and Practice, and the Journal of Applied Behavior Analysis, and has served as guest reviewer for multiple other journals. Her research focuses on translational and applied research in verbal behavior, motivating operations, and staff training. Solandy Forte, PhD, LCSW, LBA, BCBA-D, is the Director of Consultation Services and Community Outreach at Milestones Behavioral Services. She is a doctoral level Board Certified Behavior Analyst licensed in Connecticut and Massachusetts and a Licensed Clinical Social Worker. Dr. Forte provides consultation services to the school programs at Milestones serving individuals with a diverse set of complex learning needs. In addition to providing direct consultation to children within the private school setting she also has provided consultation to multi-disciplinary teams within the public school setting where she assisted with program development initiatives to promote building capacity for educating children with autism and related neurodevelopmental disorders within the least restrictive educational setting. Dr. Forte has experience working with children and young adults with special needs in their homes, schools, and community settings. She is an adjunct professor for the Institute of Autism and Behavioral Studies at the University of Saint Joseph in West Hartford, Connecticut and the Institute of Behavioral Studies at Endicott College in Beverly, Massachusetts. Dr. Forte also has experience providing parent training, staff training, social skills training, and in-home behavior analytic services to children living in therapeutic foster homes with a wide range of developmental disabilities, mental health disorders, and autism, and related disorders. She is an active member of organizations advocating for the advancement of the behavior analytic profession. She currently serves on the Board of Directors for the Behavior Analyst Leadership Council (BALC) and has served on the Executive Council for the Connecticut Association for Behavior Analysts (CTABA). Dr. Forte has presented at regional and national conferences on topics related to staff training, behavioral assessment, navigating through cultural barriers, behavioral consultation, supervision, and ethics to name a few.She is an expert in the field who is committed to improving the quality of life of the individuals she serves. Christopher A. Kearney, Ph.D. is Distinguished Professor and Chair of Psychology at the University of Nevada, Las Vegas. He is also the Director of the UNLV Child School Refusal and Anxiety Disorders Clinic. Dr. Kearney received his B.A. in psychology and sociology from the State University of New York at Binghamton and his M.A. and Ph.D. in psychology from the State University of New York at Albany. He completed his internship at the University of Mississippi Medical Center before moving to Las Vegas. Dr. Kearney’s research interests include school refusal behavior, selective mutism, posttraumatic stress disorder in maltreated youth, perfectionism, and other anxiety-related conditions in children and adolescents as well as issues of quality of life in persons with severe handicaps. He has published several books and numerous book chapters and journal articles on these topics (see links in left column for full information). Dr. Kearney also conducts workshops for school districts and mental health and other agencies regarding school refusal behavior and selective mutism (contact Dr. Kearney for more information at chris.kearney@unlv.edu). Dr. Kearney is a Fellow of the American Psychological Association (Division 12; Clinical Psychology). He has received the William Morris Award for Scholarship, the Barrick Scholar Award, the Barrick Distinguished Scholar Award, the Harry Reid Silver State Research Award, the Distinguished Teaching Award, the Alumni Association Outstanding Faculty Award, the UNLV Outstanding Graduate Faculty Award, the Academic Advisor Award-Graduate, the Donald Schmiedel Service Award, and a Black Mountain Institute Research Fellow Award from the University of Nevada, Las Vegas. He is a member of Phi Kappa Phi. Dr. Adam D. Hahs is Director of the MS ABA Program in the Department of Psychology at Arizona State University and is currently the President of the Arizona Association for Behavior Analysis (AZABA). He earned a PhD from Southern Illinois University-Carbondale where his research foci were language generativity, complex human behavior, and clinical behavior analysis with individuals with autism, traumatic brain injuries, and addiction. Dr. Hahs teaches courses in applied behavior analysis and advanced research methods. His research interests include language assessment and development, the PEAK Relational Training System, Relational Frame Theory, and Acceptance and Commitment Therapy. Dr. Hahs has dedicated over 10 years to supporting and training others in a variety of settings via behavior analytic methods, and he views behavior analysis as science capable of facilitating widespread, societal change. Justin Leaf, Ph.D., is the Direct of Research and Training for Autism Partnership Foundation. Justin received his doctorate degree in Behavioral Psychology from the Department of Applied Behavioral Science at the University of Kansas. Currently, Justin leads the research team at Autism Partnership Foundation, which conducts research nationally and internationally. His research interests include examining methods to improve social behaviors for children and adolescents with autism and developing friendships, comparing different teaching methodologies, evaluating parameters of reinforcement, and evaluating long term outcomes for individuals diagnosed with autism. Justin has over 75 publications in either peer reviewed journals, books, or book chapters and has presented at both national and international professional conferences and invited events. Justin also recently edited a book entitled Handbook of Social Skills and Autism Spectrum Disorder: Assessment, Curricula, and Intervention. Justin is an Associate Editor for Review Journal of Autism and Developmental Disorders. Justin also serves or has served on the editorial board for the Journal of Applied Behavior Analysis, Education and Training in Autism and Developmental Disorders, and the Journal of Autism and Developmental Disorders. 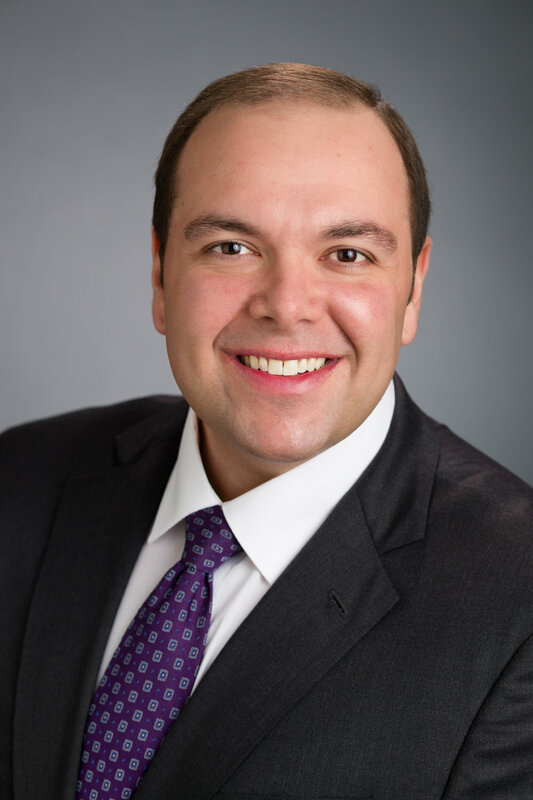 Jason C. Vladescu, Ph.D., BCBA-D, NCSP, LBA(NY) is a partner at North Jersey Behavioral Health Services, an Associate Professor in the Department of Applied Behavior Analysis at Caldwell University and a Clinical Supervisor in the Center for Autism and Applied Behavior Analysis. He graduated from Central Michigan University in 2010 with a Ph.D. in School Psychology. Dr. Vladescu completed his pre-doctoral internship and post-doctoral fellowship at the University of Nebraska Medical Center’s Munroe-Meyer Institute. His research interests include early behavioral intervention for children with autism spectrum and related disorders, increasing the efficiency of academic instruction, staff training, applied applications of equivalence-based instruction, and mainstream applications of behavior analysis. He has published in the Journal of Applied Behavior Analysis, The Analysis of Verbal Behavior, Behavioral Interventions, Behavior Analysis in Practice, The Psychological Record, Behavior Modification, Teaching of Psychology, Journal of Psychoeducational Assessment, and the Journal of Speech-Language Pathology and Applied Behavior Analysis. 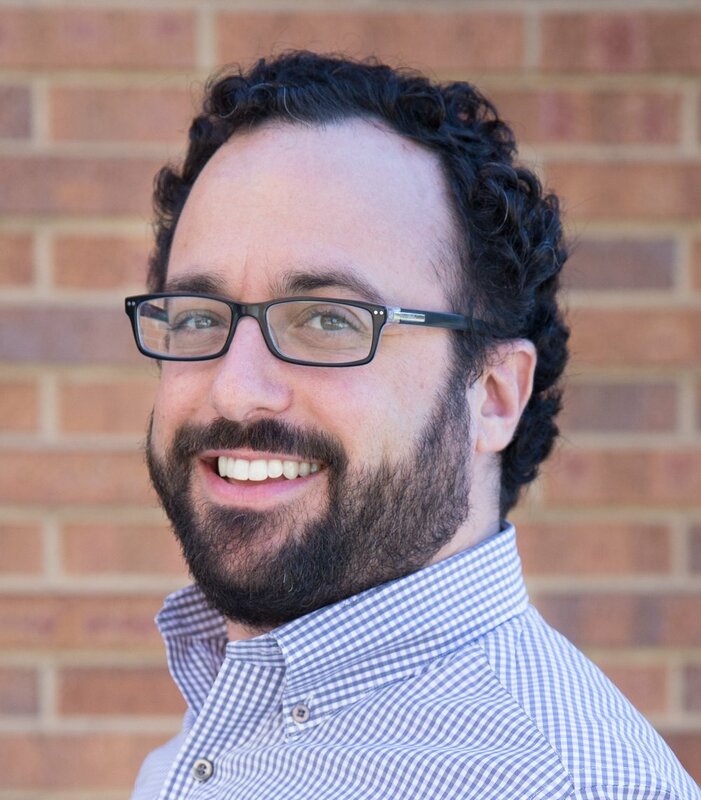 Jason is an associate editor for the Journal of Applied Behavior Analysis and is on the editorial boards for Behavioral Development, Behavior Analysis in Practice, Behavioral Interventions, and School Psychology Quarterly. 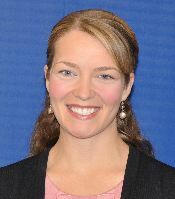 Kim Walter joined The New England Center for Children (NECC) in 2007 after graduating from Michigan State University. She has had the pleasure of holding several teaching and clinical positions within NECC’s residential program, gaining experience working with individuals aged 5-22 years in a variety of settings. In 2010, she earned a Master of Science in Applied Behavior Analysis from Northeastern University. Shortly after, she worked abroad in the United Arab Emirates for a year providing behavior analytic services to a private family through NECC and became a Board Certified Behavior Analyst. Upon returning to Boston, she began a Ph.D. program in Behavior Analysis through Western New England University, examining behavioral resurgence. In September 2015, Ms. Walter joined the ACE Department as a Training and Implementation Specialist. In this position, she provides initial ACE System training and on-going support to clients.